We received a $65,000 grant with UW Campus Sustainability Fund in April 2014 (more information here) to build a bird blind at the swamp. We would love your input on the design! Please feel free to leave a comment below. We are currently applying for construction permits through the Seattle Department of Planning and Development. 1. Build a bird blind structure with an extremely low environmental footprint that adheres to green building specifications and communicates the importance of resource conservation. 2. Provide a unique and identifying landmark for the Yesler Swamp. 3. 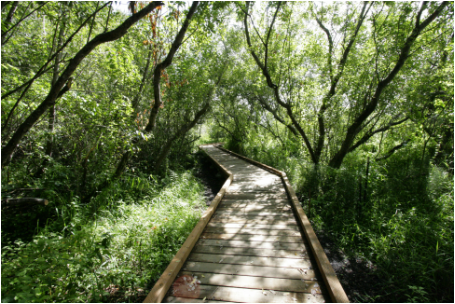 Provide an opportunity for the public to engage with the swamp and its biodiversity through interpretive signs (explaining the swamp ecosystem and services). 4. Provide an exceptional view of the swamp lagoon, Lake Washington and Mt. Rainier. 5. Provide an outdoor classroom for groups visiting the UW Center for Urban Horticulture. 6. Build a stronger connection between the Yesler Swamp and the well established Union Bay Natural Area (UBNA). 7. 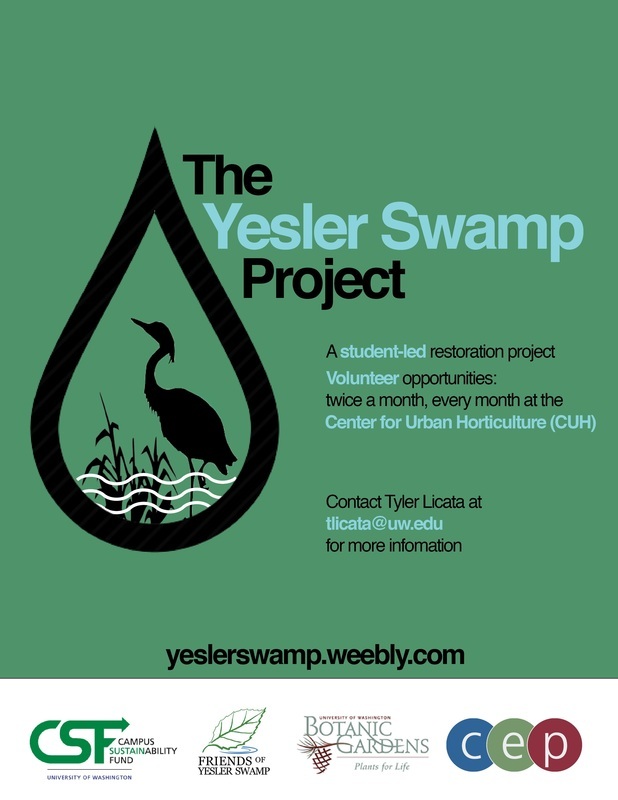 Raise awareness about the Yesler Swamp and the opportunities it presents for students and the greater Seattle community to actively engage with nature. Share your ideas for the bird blind! 1. "Exposed wood surfaces for carving peoples' names into and honor them as long term stewards"
2. "Solar powered walking lights to illuminate path at night. Dim light--not too powerful. Don't want to disturb wildlife. Should be ground/floor level lights rather than overhead"
The old growth cedar boardwalk that is being constructed by the Washington Conservation Corps in the swamp is almost complete!